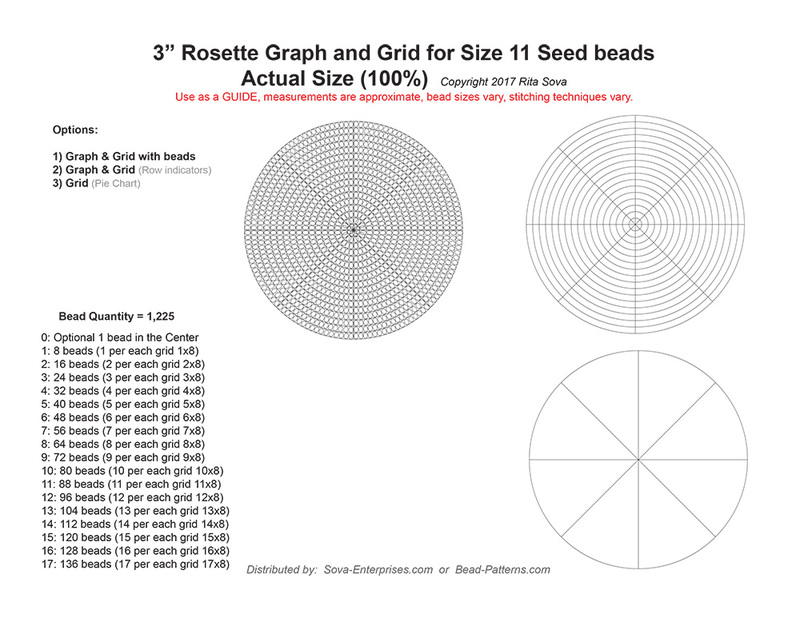 3" Rosette Graph and Grids for size 11 Seed Beads, actual size (100%). Stitch and finishing instructions are NOT included. This is to be used as a guide; measurements are approximate; beads sizes and stitching techniques vary.